"I don't know how our world's collided but I'm so glad that they did." I chose adoption for my son's future many years ago. Today, I help women across the United States choosing adoption for their unplanned pregnancy. There wasn't any support available to birth mothers back then. While things may have changed in the adoption industry today, many women considering placing their child for adoption still go through the process alone and unsupported. That's why Birth Moms Today began. Birth Moms Today was created to offer free support, encouragement and a safe place to women all across the United States who are facing an unplanned pregnancy. The adoption experience is one of the most complex relationships that all members of the adoption triad will have to work through. Going through the adoption process feeling completely alone and unsupported should not have to be one of them! As a birth mom life coach and Certified Grief Recovery Specialist, I work diligently ensuring that a woman considering adoption for her child is presented with ALL available options and that she is equipped with what she needs to know to make the best choice for her and her child. Including the adoption agencies and firms in her local area as well as all the different families that she can choose from. I genuinely care about ensuring that all women considering adoption for their unplanned pregnancy, have access to someone who is on their team, lovingly working FOR THEM. Each expectant mom will be connected with another birth mother who is concerned about her personal well-being as well as her child's future. We will assist her in obtaining all the resources available to her in her state and check in with her regularly and see if she has any needs that we can address with the agency or family that she chooses to work with. SCHEDULE AN APPOINTMENT WITH ME BY CLICKING HERE. Adoption is a choice that you do not want to make without knowing all the facts both before and after placement. Let me help you through the process. 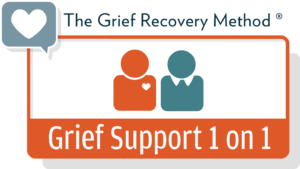 Have Questions About The Grief Recovery Method Program. Click Here to Learn More. Birth Moms Today assists women who have placed many years ago and did not receive the proper support through Grief Healing as well as woman who are at the beginning of the adoption journey. I work with with women from every location in a private online setting, locally in person or in a group workshop. I've walked this path before and I can help you navigate your way too! Let's do this together. I was 15, when I found out I was pregnant. It was a very lonely and uncertain time with no adequate resources or support available to someone 15, pregnant and considering adoption for their child. A caseworker from Catholic Charities offered three family profiles that were typed out on paper which the adoption agency had chosen for me to look at. No names, no photos and definitely, no choices. I was never asked what I wanted in a family for my child or made to believe I was allowed to want anything in my "situation". I never felt like anyone was truly supporting me and I knew nothing about adoption. I had no idea what to look for when choosing the right family for my child. Everything was done on my behalf. Back then, I had no voice of my own and I needed someone to be that voice for me. Today I am that voice for birth mothers. Making the decision to place your child for adoption is filled with uncertainty. I will walk with you on the journey. Make a FREE appointment today. Being pregnant is hard. Not everyone is going to understand your situation and your choices. At Birth Moms Today, we not only understand but we love and encourage you along the way. Why? Because we know just how much it is needed. Birth mom coaching is filled with love and encouragement. Love and Support is on the way! Call or sign up today so you can start receiving some birth mom Love and Support. Your emotional needs are just as important as your physical needs during pregnancy. Wouldn’t you want all the help and encouragement you needed during this important time? Answers to all the questions that come up along the way? Our Personalized Care Plan Includes follow-up care that continues to support you after the adoption including grief recovery work. And wouldn’t you want to know that you were getting it all from someone who as been there and felt all the emotions that go along with this life changing and life giving decision? You are not alone. There are hundreds of other birth moms who have walked a similar path. Get to know their stories, make a few friends and learn about the adoption journey from those who have been there and are working through their story one day at a time.